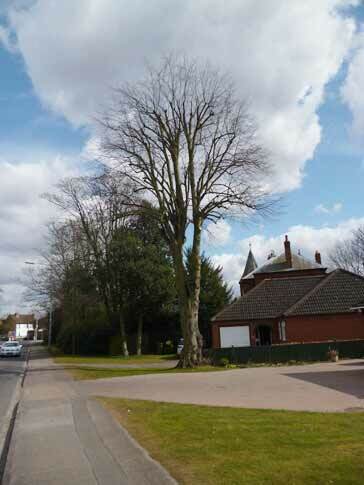 Crown reductions can be used to enable the retention of a tree by making the overall size more suitable to the surroundings or be used to alleviate mechanical stresses on trees. Crown reduction is the reduction in height or spread of the crown. A crown reduction may be used to activate mechanical stress on individual branches or the whole tree, make it more suited to its immediate environment or to reduce the effects of shading and light loss, etc. The final result should retain the main framework of the crown, and so a significant proportion of the leaf bearing structure, and leave a similar, although smaller outline, and not necessarily achieve symmetry for its own sake. Not all species are suitable for this treatment and crown reduction should not be confused with 'topping' - an indiscriminate and harmful treatment.